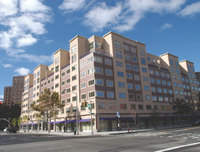 The 1400 Fifth Avenue is a eight-story condominium with 129 units. This condominium is estimated to be built in 2003. Window Guard form must be executed by purchaser.